Understanding positioning from the failed project of Tata Motors aka Tata Nano and then use it to position the freelancing services rightly for better freelancing rates from clients. Most freelancers don’t get paid top dollars and blame the competition. Is it the competition depriving them of being paid well? It isn’t the competition but it is the wrong positioning of their products and services. Every online niche has to be competitive and freelancing is no different. There will always be someone who is willing to do the same task for a cheaper price. Also read: How Individual Freelancers Can Price Their Proposal? Google and Facebook compete against each other to get their fair share of advertisers. Still, both can demand premium rates because of the way they position their products to the potential advertiser. The positioning of a product or services is very important. Let us understand the positioning of product and pricing with The Tata Nano project by Tata Motors. For those who don’t know about Tata Nano. It is a car launched by Tata Motors with a starting price of Rs.1,00,000 or $1,600. The target audience for this car was Indian middle-class people who own two-wheelers. In India more than 2 people traveling on a bike is common. So Tata Nano tried to address this pain point where instead of using a bike or scooter, their customer can pay slightly higher than the two-wheelers and own a car. Seems like an affordable car to its segment of the audience and the business plan looks like instant success. It addresses a customer pain point and is available for an affordable price for its customer. The price point got a lot of media coverage and marketing. Tata Motors predicted the sales volume of 2,50,000 annually but managed to sell only 7591 units in the whole financial year 2016-17 (Data from Wikipedia). The Tata Nano car is a loss-making product for Tata Motors and is confirmed by the management. The price made a lot more news headlines and yet it did not result in actual sales. So What Went Wrong with Tata Nano? The positioning of the product to its customers was wrong. In India, working men use a bike because it is convenient. I own a car and a bike. If I have to visit a place, my preferred choice of transport depends on the choice of availability of the parking space at my destination. Even if it is raining, I will prefer a raincoat and a bike than a car if I don’t have parking availability. So Tata Nano never became an alternative to a bike and so it became yet another car. Owning a car is a luxury and pride along with the pleasure of driving but Nano failed to address even those. The car lacked many features like power steering and other such features when it was launched. So it positioned itself as yet another low priced car. Positioning your product or services is very important as a freelancer. Price isn’t the only factor to buy a car. Similarly, clients do not hire freelancers based only on price. As a WordPress or XenForo developer, it can be tough to get premium rates for my services but it is possible to demand better hourly rates if I position myself as an expert. How To Position Your Freelancing Services? From the Tata Nano project, there is a lot to be learned about positioning your freelancing services. So Let me share a few crucial points to position your freelancing services rightly. Cost cutting doesn’t mean low quality. Quality should always be the prime focus for every product or service and working as a freelancer is no different. For Tata Nano many posts in social media about Nano catching fire and being unsafe became viral. The cost-cutting methods lacked the needed quality which led to a decline in sales volume. As a freelancer, referral clients are one of the better sources of high paying long-term clients. If your services are subpar, you can’t expect to get many referral clients which can make things tough to thrive. A family of three or more members riding a bike isn’t very safe but addressing this pain point with the right kind of solution is important. The purpose of the bike isn’t mainly for a family ride on weekends. The main purpose was different and Nano wasn’t able to address it. Even those customers who can afford a car doesn’t use them on weekdays because it isn’t a feasible solution. Are your customers ready to take up what you are offering as a solution to the problem you are addressing or it creates more problem for them? A survey of Indian middle-class two-wheeler owners – Are they willing to take a car instead of a bike and I am sure most will say NO. Offer the right solutions to your clients’ current problem but more important the solution shouldn’t create more problems than it solves. Price isn’t the only criteria to select a product or services. People don’t buy cheap things, they want to buy more value at the same or similar price point. If people would have bought cheap products or services, no one would have ever purchased a Jaguar or Land Rover cars which are also owned by Tata Motors. So I will reiterate it once again. No one likes to buy a cheap product, they buy the product within the same price range but choose the one that offers more value. 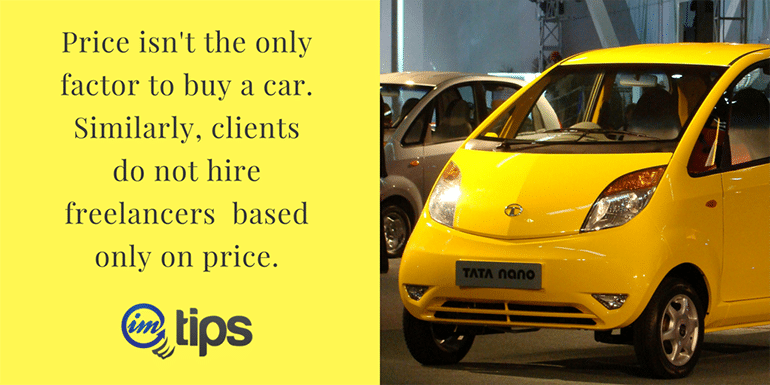 Tata Nano failed to offer more value to its customer than other cars in the same price point. 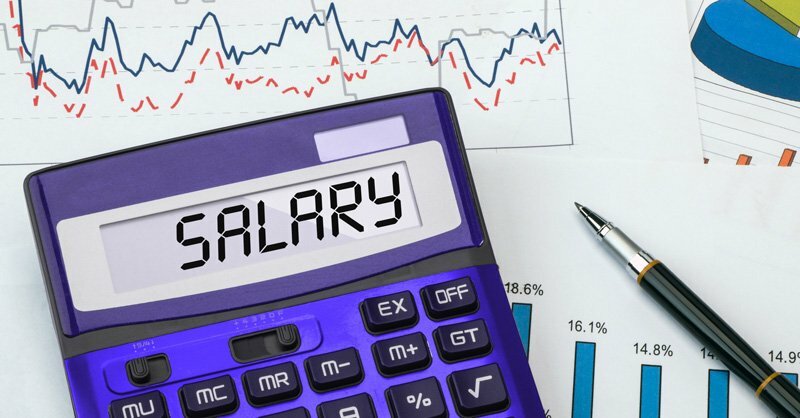 Read: Why I Get Paid Good Hourly Rate On Upwork? Last but the most important aspect is the right position for your product or services. If you position yourself as a cheap service provider, you will find clients who are looking for services at the least possible price point. If you position yourself as an expert, you will find clients who are willing to pay a higher price for premium services. Tata Nano evolved over the years but it has always positioned itself as a cheap way to own a car. So Tata Nano automatic variant couldn’t get the kind of eyeballs it deserved. Read: How to Find Your Freelance Niche and How Companies Can Work in Niches? Never assume what your customers want. Ask them. Stop being yet another me-too kind of services. It is one of the best success mantras online.